The Internal Revenue Service is required by law to notify you by mail of any actions taken or required in your tax situation. 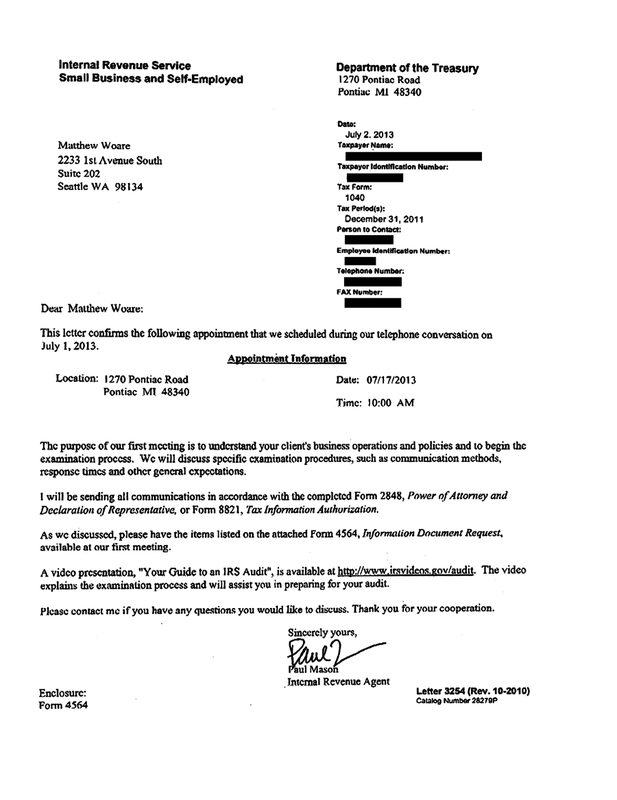 Below are redacted sample letters from clients, along with plain-English explanations of what's happening in each case. Many clients call us with a CP14 in hand. Maybe you forgot, maybe you've put it off, or maybe you never knew you owed additional taxes to the IRS. 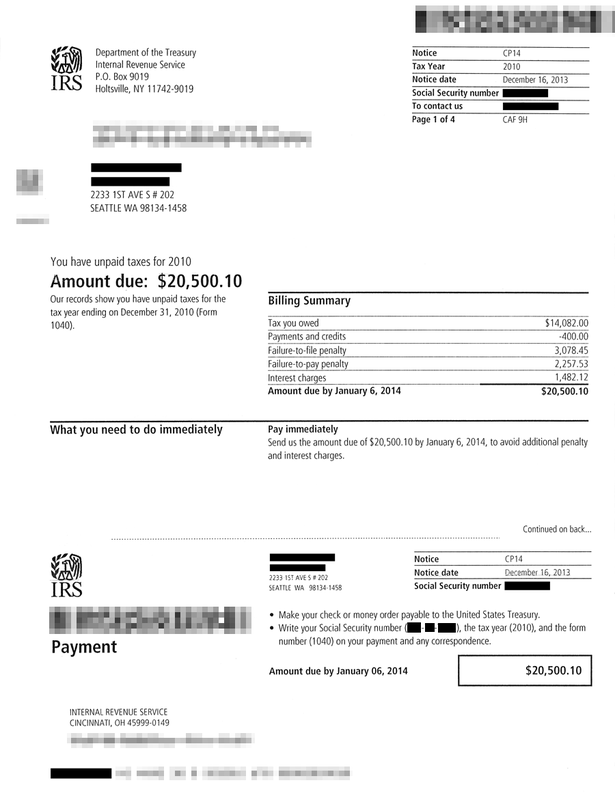 Regardless of the reason, this notice details what you owe and how long you've had the balance. While it's always best to act early, it's worth getting tax advice should you receive this letter and not know how to proceed. If you've owed a balance to the IRS that you haven't paid, they'll eventually attempt to seize funds from any legitimate source of income. The CP504 or more recently the LT-11 and LT-16 letters - while intimidating - are still fairly early in the collection process and let's us know that the collection process has begun. If you did nothing after getting these letters, you would probably receive a levy on bank accounts or wages in about 90 days. 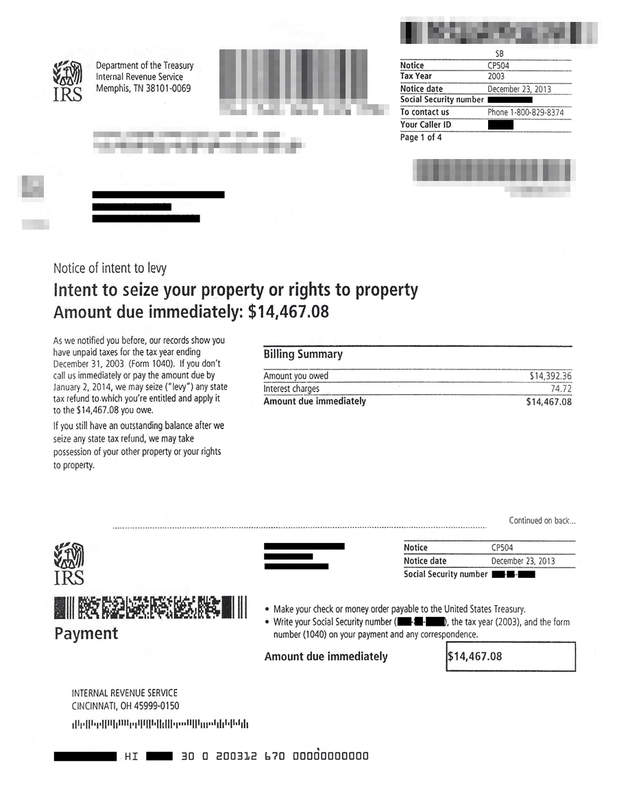 You already received a CP-504 OR LT-11 letter (above) and haven't taken action, and now the IRS is reminding you of its intent to levy - this time they mean business. If you don't respond in 45 days, you can expect a bank levy or wage levy. The 1058 letter usually comes from a Revenue officer. 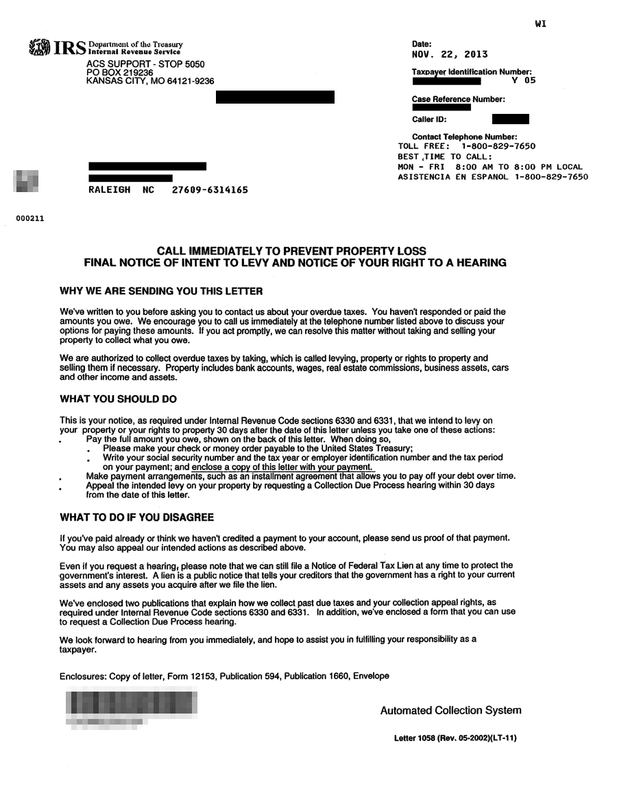 The equivalent of this letter in Automated collection Systems is not numbered and just says FINAL NOTICE OF INTENT TO LEVY. 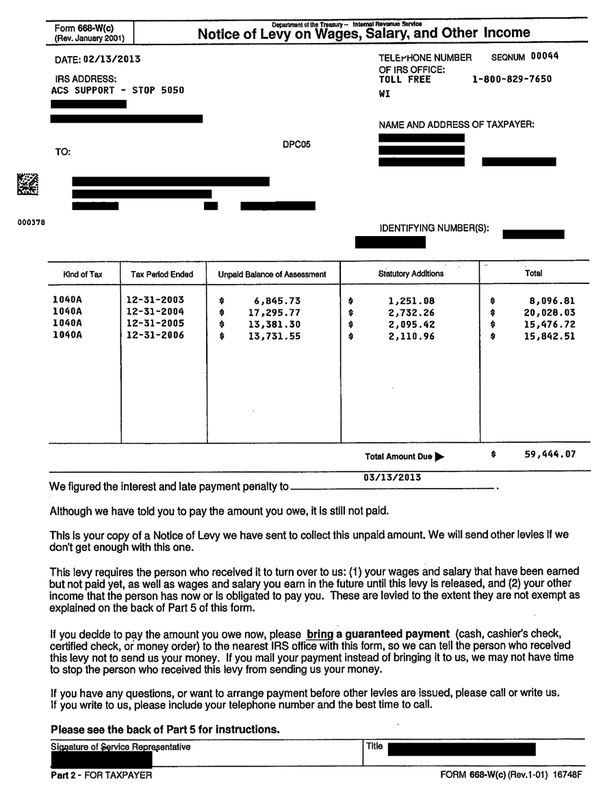 The IRS warned you twice, and now your wages/salary are being levied. It's not too late to take action at this point, but you'll want to act quickly and attempt to release the levy. Please get a hold of us! Unlike the 668-w which is a continuous levy, the Notice of Levy 668-A is a one-time levy on bank accounts or accounts receivable, freezing funds in accounts or on money owed to you or your business for 21 days. In spite of the levy, you can still use the account and with the right argument you can get the levy released before the 21 days are up. 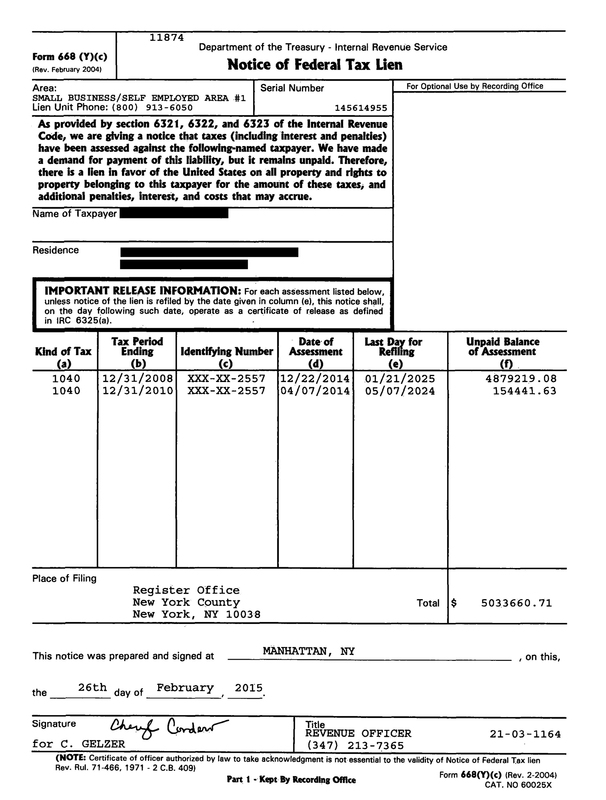 The IRS filed in a county courthouse to put a lien on any real estate for which you appear in the title. 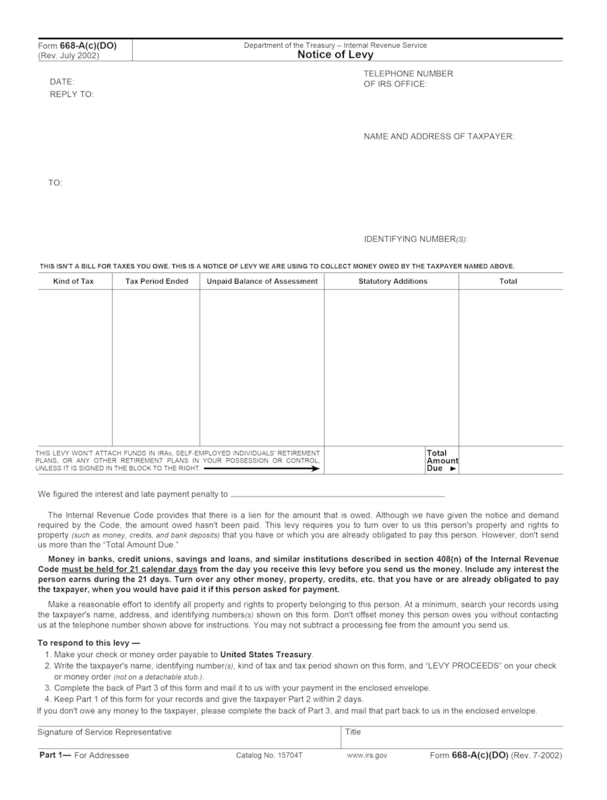 Check out our page detailing five ways to remove tax liens. have your case declared as Currently Not Collectible. This is the outcome we hope to achieve if you've been levied. 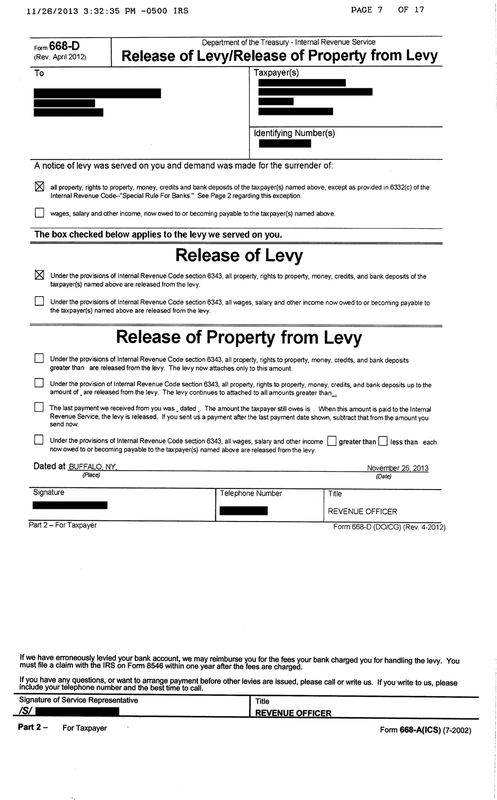 A release from levy (or release of property from levy) means that your wages or bank account are free from levy. A temporary installment agreement has been agreed to or "currently-not collectible" has been agreed to. You can explore an Offer in Compromise or penalty abatement next. 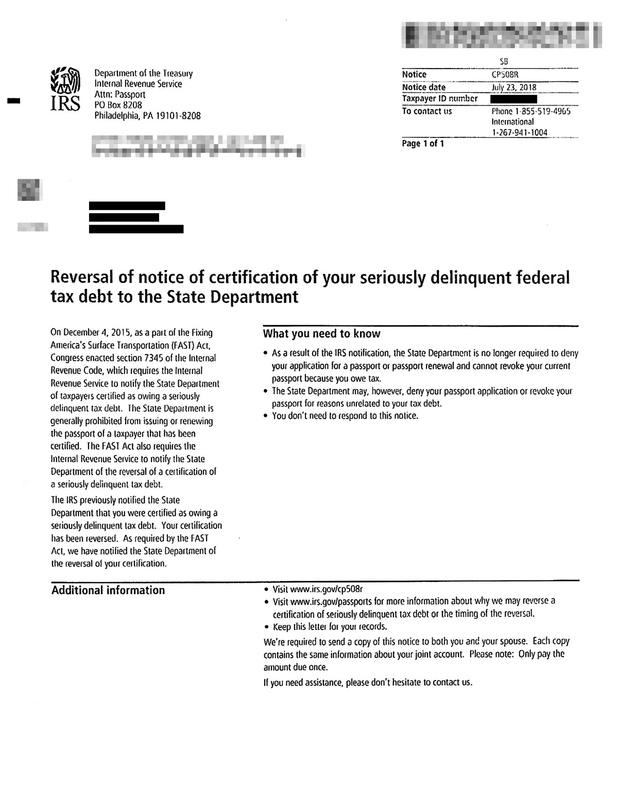 If you received this notice, your installment agreement is now dead because you missed a payment or weren't current on taxes. 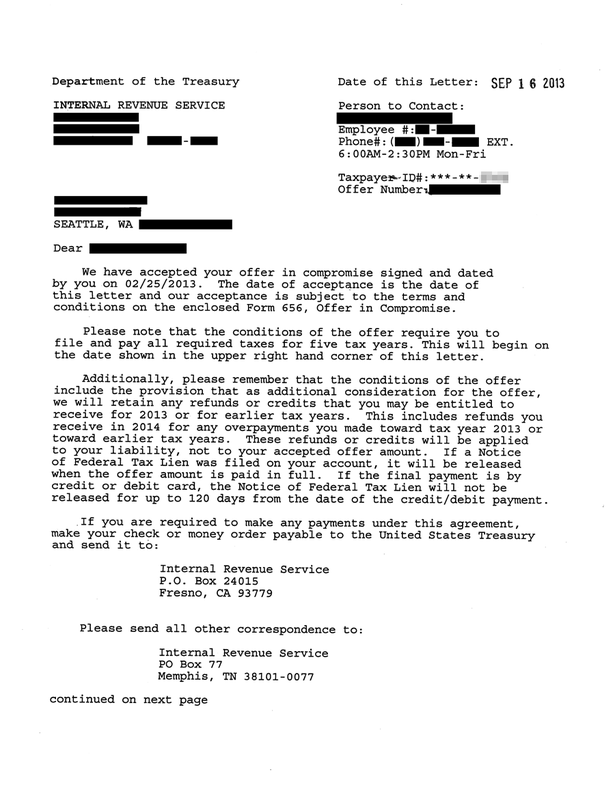 However, these letters are often good news to us as we can 1. often do a new and better type of resolution for you 2. we have 90 days from the date of this letter before levies to come up with a new plan (!). The only way to remove a tax lien off your record for less than the full amount is by getting an Offer in Compromise accepted. WATAX has lots of experience constructing compelling offers that get accepted by the IRS, so please get a hold of us if you'd like to greatly improve your odds of getting your offer accepted. You're being audited. There are many reasons this can happen, from multiple red flags on your returns like an over-use of "employee business expenses," for example,to just random selection because you're self-employed. You can manage this appointment yourself, or hire us (or any licensed tax professional) to be there and represent you during the audit. 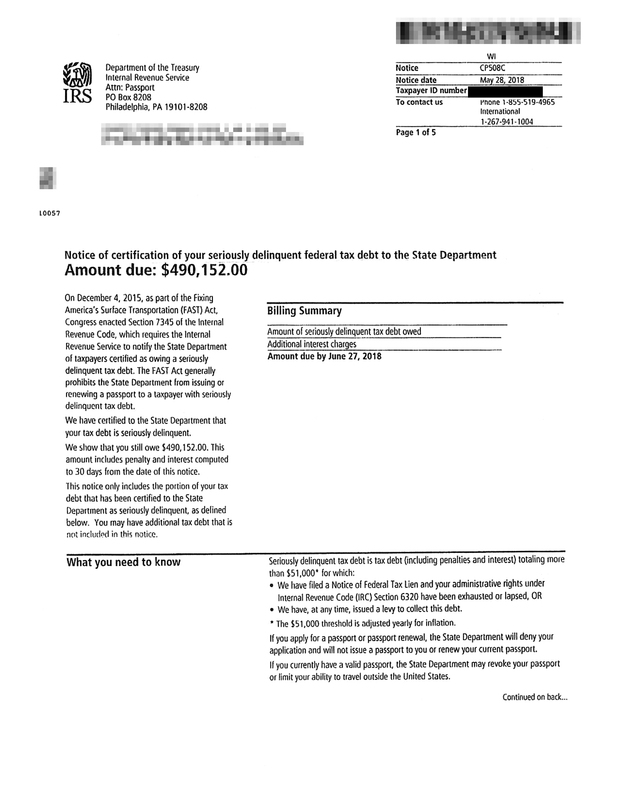 If you're audited and the IRS finds that you owe additional taxes, the form 4549 or 30-day letter will show what the IRS disallowed on your tax return. 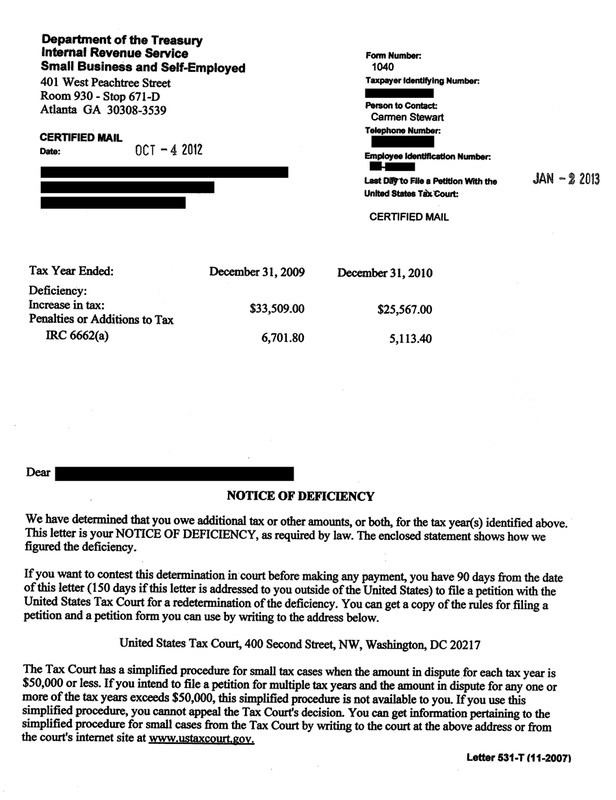 You will also learn what you owe the IRS including accuracy penalties and interest if you fail to make a final defense. This form also begins a 30-day clock for you to wrap up your audit - offering you a final opportunity to respond to the IRS. 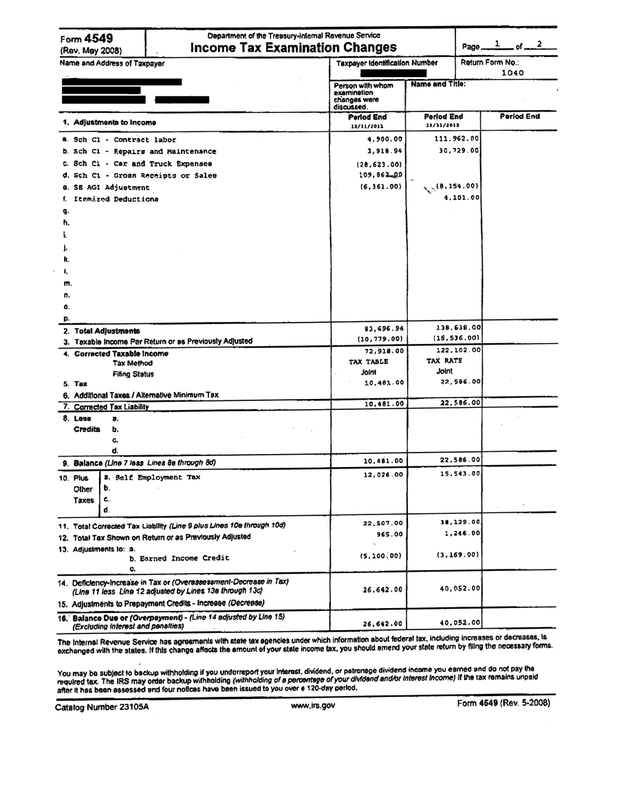 The individual breakdown of items allows you and your tax professional to really focus. For almost all intents and purposes, when you receive a 90 day letter or Notice of Deficiency, your Audit is over. 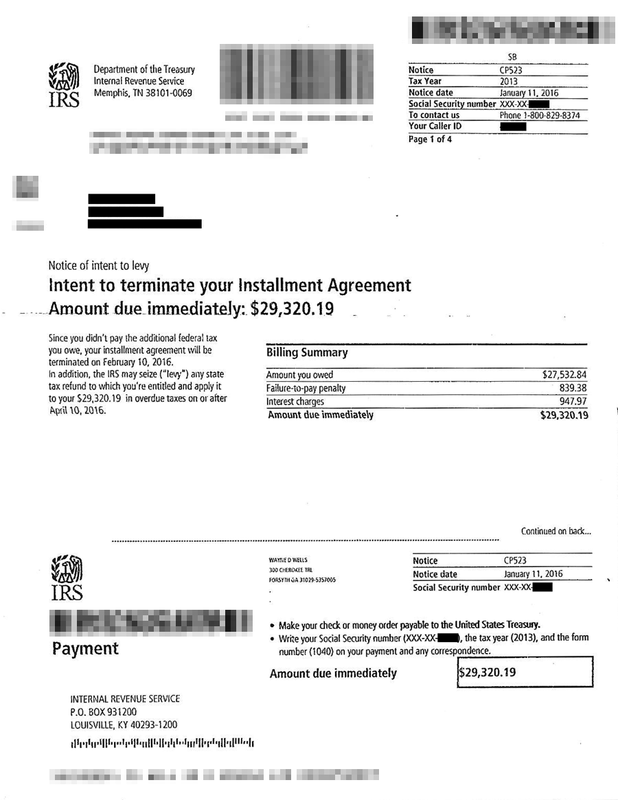 At this point the IRS offers you 90 days to go to Tax Court, if you want to dispute any items in that different venue. If you decide not to go to Tax Court, you can expect to pay what you owe the IRS or plan to negotiate with your tax professional on what you owe thru the IRS collection branch. On another note, you can still dispute your Audit even if you choose not to go to Tax Court by doing an Audit Reconsideration. This is a letter that notifies the State Department that issue is resolved. The client has entered into an installment agreement or submitted an Offer in Compromise.